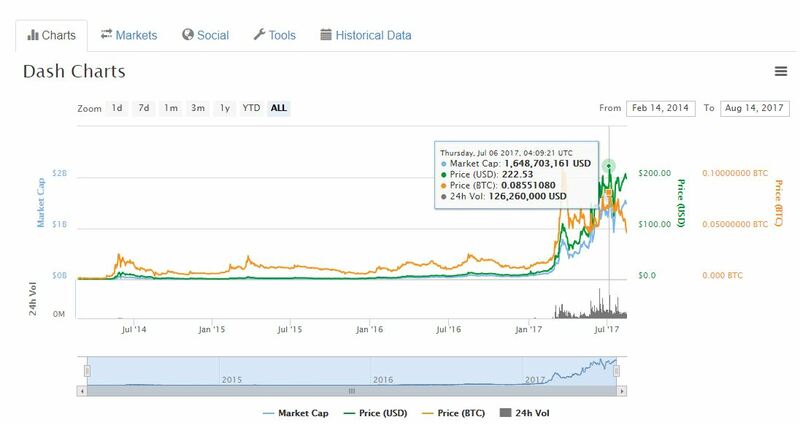 On the 5th August, the price of bitcoin reached $3,200 for the first time in its history. Prior to reaching that milestone it hadn’t seen $3,000 figures since the 12th June. Then it recorded a price of $3,041, according to CoinDesk’s Bitcoin Price Index (BPI). 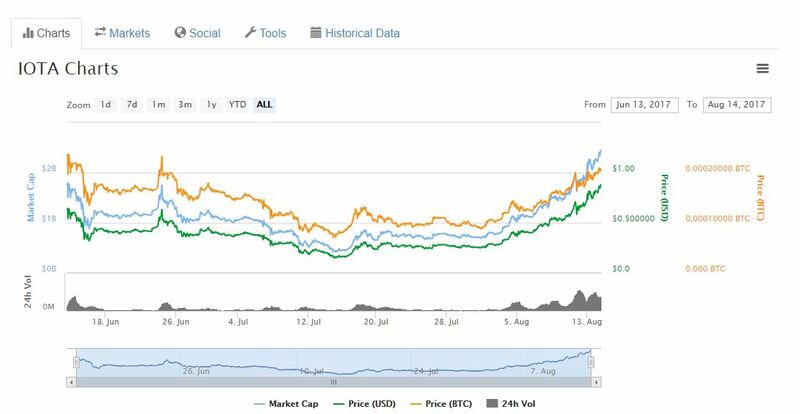 Ethereum also recorded a new high price when it soared through $400. More recently, bitcoin’s price has pushed through $3,300 and $3,400 with its sights set on reaching $3,500. 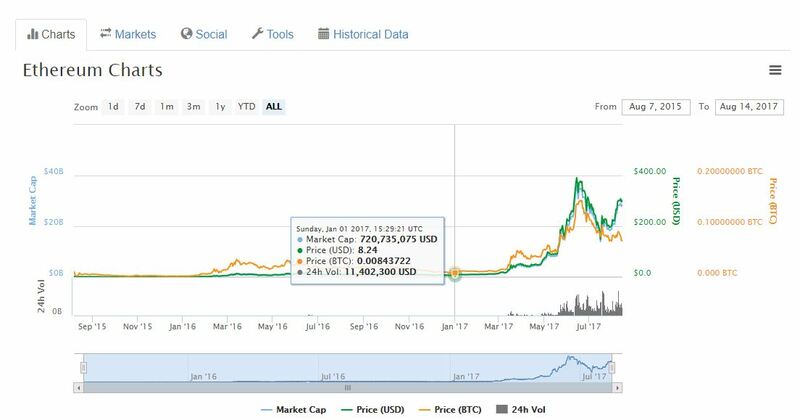 At the time of publishing bitcoin is trading at $3,390 and has a market cap worth just under $56 billion on the 10th August. Over a 24-hour period, its value has increased just over two percent with a 23 percent rise within the past seven days. Ethereum, too, is seeing a rise in its value. At the moment it is trading just two dollars under the $300 mark. Its price has risen by 2.17 percent over the past 24 hours and 33.50 percent within the past seven days. Of the top five digital currencies it has seen the biggest increase in price over the past week. 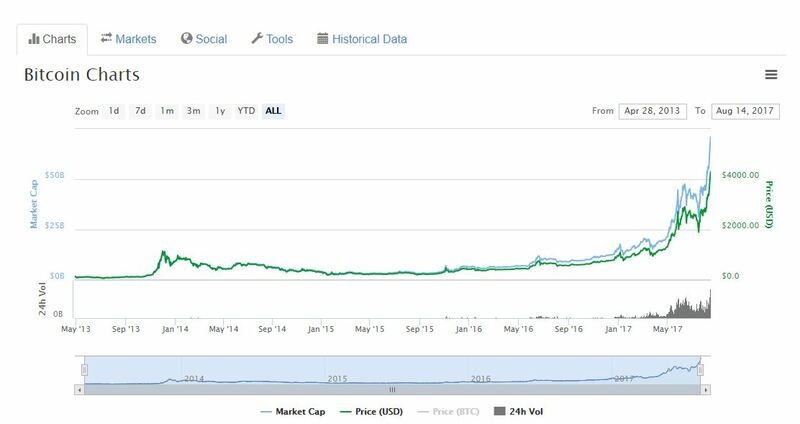 Its market cap is now worth just over $28 billion. The entire market value of the digital currencies is worth $122.6 billion. On the 7th August, it was $117 billion; however, on the 8th August it rose again to $121.8 billion. The lowest recorded price was down at $60 billion in July. As can be seen from the table above, bitcoin cash, the newest altcoin on the block, remains in fourth place. It’s currently trading at $287 with a market value worth $4.7 billion. Over the past 24 hours, its value has dropped by 14.66 percent whereas it has declined by 33.77 percent over the past seven days. On the 8th August, its value had risen to $358, experiencing a 35.45 percent rise which saw a market value of $5.9 billion. This was down to the fact that it is now easier for miners to find blocks. At the time it was questioned whether this would subsequently rise the coin’s value. As can be seen, though, bitcoin cash is still going through a fluctuating phase, which will continue to see its price rise and fall. Now, in a significant step forward, Goldman Sachs believe that the rise of digital currencies are worth watching. 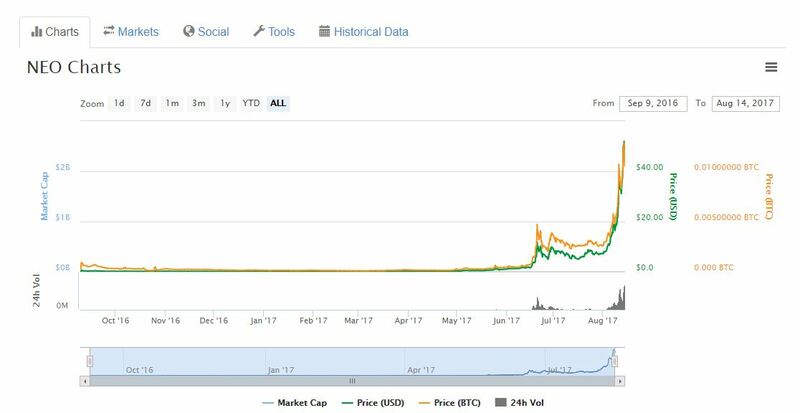 This year bitcoin has seen a 200 percent rise in price while ethereum has experienced a colossal 3,500 percent increase. The year 2017 is certainly proving to be a great year for the market and we’re only into August. It will be interesting to see how much further the sector can go. Not only that, but the market has seen a rise in interest with initial coin offerings (ICOs), which is attracting a large number of investors. 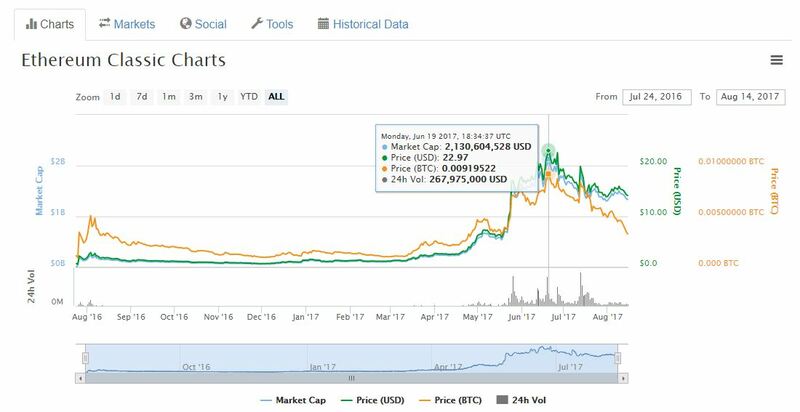 It was earlier reported that in the first six months of 2017, over $1.2 billion in digital currencies had been risen through ICOs. So much so, that this figure outpaced venture capital funding in blockchain and bitcoin companies. Despite this, though, people are still flocking to ICOs. In July, it was reported that Tezos, a blockchain project, had announced the largest ICO to date after raising $232 million in bitcoin and ethereum coins. This outpaced the ICO for blockchain project Bancor, backed by Tim Draper of VC fund Draper Fisher Jurvetson, which raised $153 million in ether in June. Yet, while digital currencies are attracting a mammoth amount of interest, the bank adds that the market cap of all the cryptocurrencies equals to less than two percent of all the gold that is mined in the world. Not only that, but while there are over 1,000 altcoins on the market, only around 800 of them actually have a market cap value. Yet, of those some have relatively small market caps. The smallest, at 817, has a market cap of just $18. Many are projecting, however, that the value of bitcoin will increase. Despite the recent user activated hard fork (UAHF), which saw the creation of bitcoin cash, bitcoin’s price hasn’t been affected. In fact the opposite of what was expected to happen, happened. Such a situation indicates that bitcoin has matured to such an extent that even a new digital currency won’t impact it. According to Ronnie Moas, Standpoint Research founder, he believes that bitcoin will rise to $5,000 by 2018. He also predicts that ethereum will increase to $400 and litecoin will trade at $80. Others believe that its value can increase even further. By 2020, a Wall Street analyst has made a bullish prediction and thinks bitcoin will be worth $55,000. With such varying prices, it remains to be seen who is the closest. A rising number of Venezuelans are turning to digital currencies such as bitcoin as the country continues to battle a political, economic and social crisis. In February 2017, inflation in the country is reported to have soared to 741 percent year-on-year. In December 2016, inflation rose by 800 percent, reaching an all-time high. In comparison, consumer prices in the U.S. increased by 2.4 percent in March. The last time the country recorded an all-time high was during the 1920s when inflation was recorded at 23.70 percent, according to Business Insider. With Venezuelan citizens calling for the removal of President Nicolas Maduro, a worthless bolivar, low savings and the country struggling to provide basic necessities for its citizens, they are turning their attention to digital currencies such as bitcoin. According to Ryan Taylor, chief executive office of Dash Core, it makes sense for people to be involved in a volatile digital currency that is rising in price rather than a volatile currency that is falling in value. LocalBitcoins.com, an online exchange, which gives users the option to change their local currencies into bitcoin, noted that the bitcoin trading volume in Venezuela had increased to $1.3 million. This figure is around twice the amount that was recorded two months ago. Yet, while there is certainly an increasing number of people who are turning their attention to digital currencies to function in their day-to-day lives, the market only seems to be touching a small percentage of people. As Bloomberg reports, in 2015, only 62 percent of the population had access to an Internet connection while those living below the poverty line was recorded at more than 80 percent. However, it is in countries that are experiencing a national currency crisis that the adoption of digital currencies may be at its strongest. According to a report from the London School of Economics, it found that based on its Bitcoin Market Potential Index (BMPI), Argentina and Venezuela were the two countries that were most likely to adopt bitcoin. This was based on technology penetration, inflation and financial repression. As the saying goes: what goes up must come down. And that’s certainly the case with the crypto market at present. Bitcoin is probably experiencing the worst drop in its price after reaching the $3,000 mark earlier in June. As of the 15 June, the price of the digital currency is trading around $2,300, dropping nearly 25 percent in value. As a consequence, its market cap value has fallen and is now worth $37 billion. However, it isn’t just bitcoin that has seen its price going into the red. 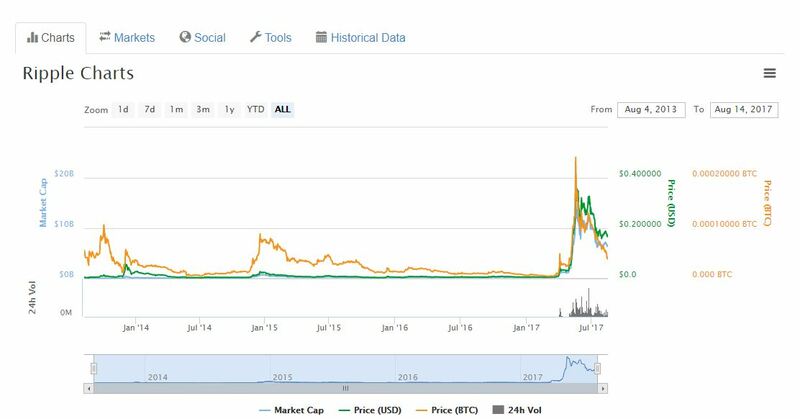 So did other well-established digital currencies such as ethereum, which had a price drop from over $400 to $344. 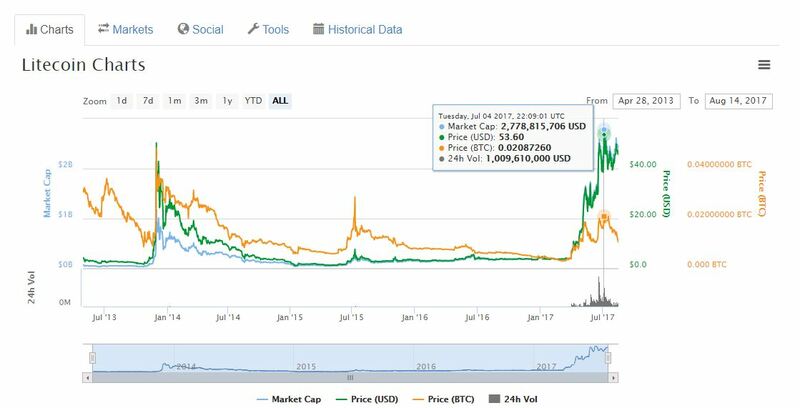 With bitcoin’s market value dropping to below $40 billion, ethereum is slowly catching up with its value just shy of $30 billion. 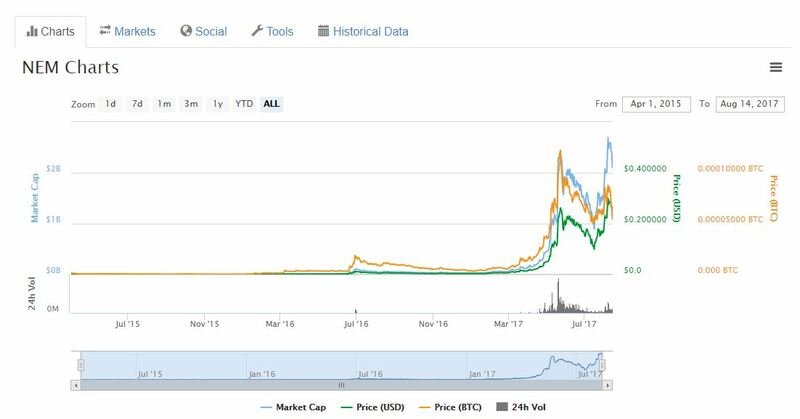 Zcash, the 12th largest digital currency is, however, in the green with its prices rising to just under $400, pushing its market cap value up to over $500 million. Yet, one can’t help questioning whether digital currencies are still a viable option for people to invest in. Even though bitcoin’s price has tripled in price since the beginning of the year, before dropping in value, it still remains a highly volatile asset to invest in. Not only that, but many critics of the digital currency have spoken out claiming that the price of it is in a bubble. 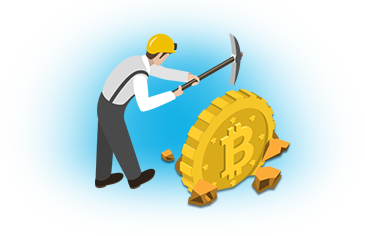 Other naysayers of the digital currency include Mike Hearn, a well-known bitcoin developer, who published a post on Medium last January claiming that bitcoin had failed. Furthermore, Taavet Hinrikus, CEO at TransferWise, a cross-border money transfer firm, said in April 2016 that bitcoin was like a ‘gold rush’ and that ‘real people’ weren’t using the currency. If that’s true then why is the currency making a difference in people’s day-to-day lives around the world? While the early days of using digital currencies such as bitcoin may have been difficult, it is now becoming easier with more and more merchants accepting the cryptocurrency as a form of payment. India is one country that is seeing an increase in the use of digital currencies. Last November, the country’s demonetisation saw the government wipe out around 86 percent of the nation’s national currency overnight. As such, the country’s citizens needed an alternative way for them to pay for things. Bitcoin became the ideal alternative, which has seen an increase among the 18-35 age range. Additionally, since Japan changed its regulations regarding bitcoin in April 2017 and its use as a payment option, merchants are now accepting it as a form of payment. In a bid to keep up with the demand that the currency is presenting it’s expected that by the end of 2017 there will be as many as 300,000 stores in Japan offering the digital currency as a payment option. One Japanese company that is making plans to include bitcoin is low-cost Japanese airline Peach Aviation Ltd., who have announced that it is to start accepting the digital currency for flights at the end of the year. Digital currencies may still have a long way to go before they become mainstream, but despite their volatility and their unregulated nature they are making steady headway. While trading prices within the market may be down, it’s expected that they will pick up again. Only time will tell how and when this will happen, but despite this, they are still a viable option for people, particularly the citizens of Venezuela who are living through political turmoil and a weak bolivar that doesn’t seen any end in sight. Featured image from Flickr via ruurmo.